By definition, a Conventional Loan is any mortgage that’s not guaranteed or insured by the federal government. Indiana conventional loans may be either “conforming” and “non-conforming”, although ‘conventional loans’ generally refer to ‘conforming loans’. Therefore Indiana conventional loan limits are the same thing as Indiana conforming loan limits. Maximum Loan Amount: Conventional loan limits in Indiana are set at the floor amount of $424,100 across the entire state. Metro areas in IN with a conforming limit of $424,100 include Indianapolis, Gary, South Bend and Fort Wayne. Indiana conforming limits can change anytime. Check back often to ensure accuracy. 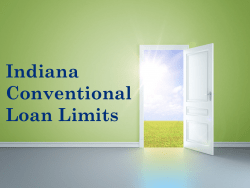 What factors determine if i’m eligible for a Conventional Loan in Indiana? Conventional conforming loans follow the terms and conditions set forth by government sponsored enterprises (GSE’s) like Fannie Mae or Freddie Mac. To be eligible for a Conforming Loan in Indiana, your monthly housing costs (mortgage principal and interest, property taxes, and insurance) must meet a specified percentage of your gross monthly income. Your credit background will be considered. A FICO credit score of 620 or above is generally required to obtain a conventional loan approval. You must also have enough income to pay your housing costs plus all additional monthly debt. What types of mortgage and refinance programs do Conventional Loans offer in Indiana? To meet conventional refinance mortgage requirements in Indiana, your monthly housing costs (mortgage principal and interest, property taxes, and insurance) must meet a specified percentage of your gross monthly income. Your credit background will be considered. 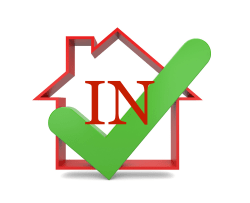 You must be able to cover closing costs and have enough income to pay your monthly debt.